Democratic presidential candidate Bernie Sanders will open a Chicago office Wednesday on Roosevelt Road in the South Loop. The Vermont senator also held an Illinois campaign kick-off event at nearby Bar Louie Saturday. 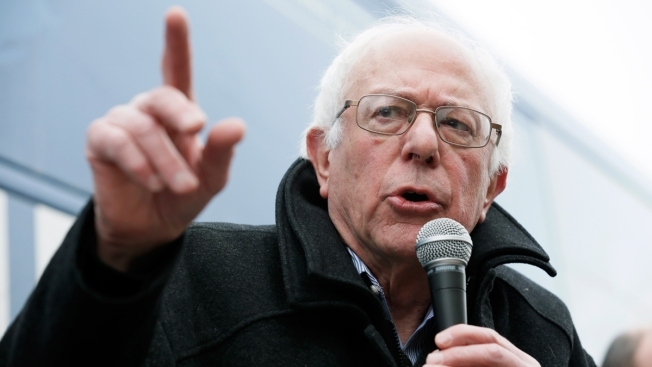 Sanders is the first presidential candidate to open a Chicago office. Jesus "Chuy" Garcia will speak at 5 p.m. Wednesday as part of the office's grand opening. The Sun-Times reports Hillary Clinton is eyeing two possible locations for her Chicago offices: one on the North Side, one on the South Side. This is further proof that the March 15 Illinois primary, which is considered the second "mini Super Tuesday," will be an important part of the nomination process. Other states with March 15 primaries are Florida, Missouri, North Carolina and Ohio. Often the nominee is already selected by the time Illinois voters go to the polls, but this year the nomination is projected to still be up for grabs. On Feb. 1, Clinton won the Iowa caucus by the slimmest of margins, receiving 49.9 percent of votes with Sanders receiving 49.6 percent. Clinton also won 23 delegates to Sanders’ 21. Sanders recovered last week, scoring a strong victory in the New Hampshire primary. He received 60.4 percent of votes to Hillary’s 38 percent and won 15 delegates to Hillary’s nine. The South Carolina Republican primary is set for Feb. 20 with the state’s Democratic primary scheduled for Feb. 27. The Nevada Democratic caucus is slated for Feb. 20 with the state’s Republican caucus scheduled for Feb. 23.